Located in the Cantonment Area of Shahibaug, this Hanumanji Temple is a renowned destination for peace seekers and spirituals. The place is specifically dedicated to Lord Hanuman, a revered God in Hindu Mythology, known for his courage, wit and strength. People from all across the nation come here seeking his blessings and remedy for their griefs. 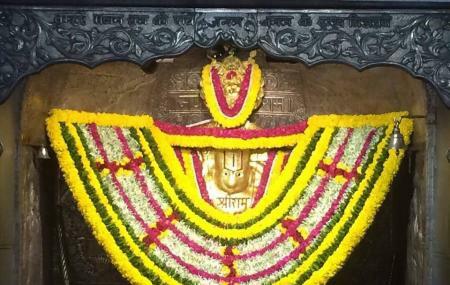 The temple was established more than hundred years ago by Pandit Gajanan Prasad and is considered to be one of the largest Hanuman Temples in India. Another wonderful aspect of this temple is its architecture which is quite pronounced with gold plated statues nestled in its inner sanctum. The whole building is etched with beautiful carvings and provides a serene space for devotees to come, pay their offerings and bask in its calm surrounding for a while. Don’t bring cigarettes and tobacco inside the place. Timings for aarti are subject to change during eclipse. Love this? Explore the entire list of places to visit in Ahmedabad before you plan your trip. Fancy a good night's sleep after a tiring day? Check out where to stay in Ahmedabad and book an accommodation of your choice. How popular is Camp Hanuman Mandir? People normally club together Auto World Vintage Car Museum and Vaishnodevi Temple while planning their visit to Camp Hanuman Mandir. So famous place in ahmedabad. We believe in this place . This place has good stories too. One of the best place to visit in Saturday morning. I would not recommend to go in the evening time due to traffic.